Honestly, it is. The sun is splitting the trees and the calendar says mid-October so it is technically an unseasonably warm Autumn. But as far as we are concerned, there are only two seasons per year: boating season and winter. 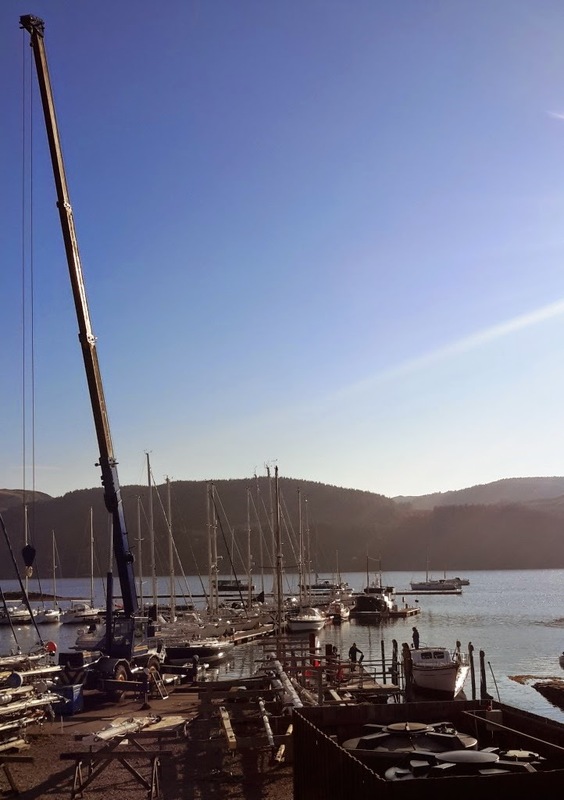 The other sign of winter is the non-stop procession of boats arriving to have their masts unstepped before being moved round to the slip where China collects them in his company car (a 40T Sublift) and takes them to their allocated winter storage space. We've got 60+ boats out already and there is about the same again still to come. We have started the winter maintenance work on the boats, and we have a long long list of other works and estimates for work to complete that will keep us all busy well into next year. We will showcase some of the works being carried out over the next wee while, and introduce some of our staff along the way.